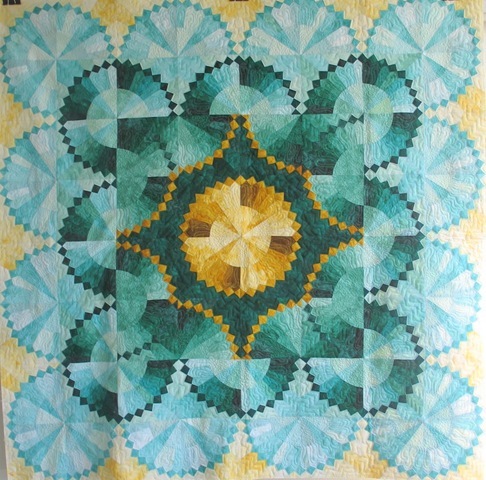 Dresden Plate is one of my favorite quilts that I have made. It is an original design and I hand dyed all of the fabrics for it. The only problem with it is that it was the second quilt that I quilted on my new longarm and my quilting skills were not up to par. 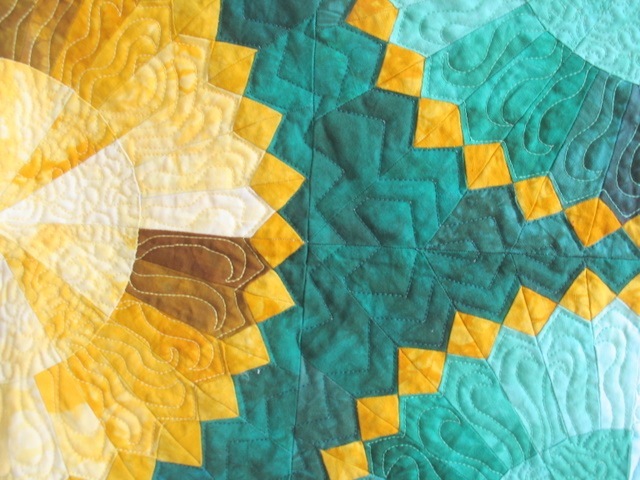 So the quilting is awful. The tension is off and the design is not very creative. So I have set this week aside to frog the whole thing so that I can re-quilt it. 🙂 My plan is to then enter it into MQX in Rhode Island next spring. So you have a nice day; I am off to RIP IT—RIP IT!!! Really? Seems it would be easier to piece and quilt a new one. I hope you don’t get holes.